eZee Reservation is a complete tool for hotels that allows any property to get online bookings from their own property website. Boost the hotel’s reservation and occupancy rates to new levels with eZee Reservation - the fully automated online Hotel Reservation Software from eZee Technosys. The core of eZee Reservation is the cutting edge hotel reservation engine, which simplifies web-based reservation and occupancy management for a hotel. 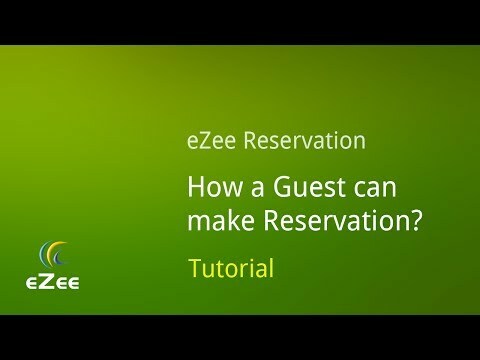 eZee Reservation is a complete hotel reservation management module that integrates seamlessly into the hotel’s website and upholds details of all the guests. Q. How long does it take to setup Booking Engine for my property? The average time needed to setup the booking engine in real time is 3 business days after receiving the required information about the property. Q. Can eZee booking engine be integrated with my existing website? eZee Reservation can be easily integrated with any website using customizable templates that can be matched to the design and layout of your current website. Integration can be done by your website developer using the code provided by us, or the same can be taken care of by eZee technical team without any charges. Q. Can I accept Credit Cards / PayPal or include my preferred payment gateway? eZee seamlessly integrates with a number of popular payment gateways including PayPal, X-charge, SagePay and many others. If your preferred payment gateway is not available in our ready list, we would be happy to get it integrated. Full or advance deposit payments can be collected by debit or credit card.